If you are a homeowner or a property manager, you may have had to deal with a leak a few times. If you were lucky, the source of the leak could be easily identified and repaired without suffering too much damage. ​However, if you are like most other people, the first thing you see is the effects of the leak long before seeing where the leak is coming from. Dripping sounds, water puddles around the house, water marks on ceilings and walls, and unusually high water bills are some of the signs that you have a leak. Whenever you have a leak, the most important thing is to locate where it is coming from so that you can fix it immediately. When the source of the leak is hidden, you may require professionals to help you locate and repair it. That’s where Langley Plumbing Company comes in. 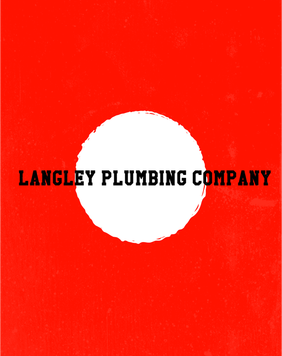 Over the years, we have made our name as one of the top leak location companies in Langley. Armed with an army of highly trained and experienced technicians and specialized equipment, we will locate the source of your leak as fast as possible and fix it without causing too much damage to your property. A lot of people have leaks in their homes that they are even aware of, but they choose to try and fix it themselves instead of hiring professionals. Water leaks can either be really obvious or subtle. In most cases, you will see the effects of a leak but have no idea where it could be coming from. This is more so the case when the pipes are hidden in walls or floors, or the leak source is in a hard-to-reach area of the building. If you choose to go at it yourself, you may have to go through something, for instance the wall, to get to the source of the leak. With Langley Plumbing Company, this does not have to be the case. Using highly specialized leak location equipment such as infrared cameras, calibrated damp mapping equipment, ultrasound, thermal imaging, density measuring tools, and others, we can accurately locate the source of any leak without having to destroy your walls of floor. A lot of people underestimate the kind of damage a leak can have on a property. Whenever you have a leak, water goes to places that it was never meant to go. Depending on where the leak is, the water can go to the ceiling, the walls, or even land on electrical appliances. If it is left long enough, water can cause serious problems to the structural integrity of your house especially if there are wooden components. To avoid such trouble, you need to hire us to locate and repair your leak before it’s too late. Obviously, whenever there is a leak, your water bill will shoot up since water is constantly flowing. It is like having a tap that is on all the time. Even if a leak seems small, it may end up costing you hundreds of dollars in water bills if you fail to repair it. Luckily, you can avoid all this by hiring Langley Plumbing Company to locate and repair your leak. Leaks come with various health issues depending on the type of leak and where it is. For one, leaks can lead to growth of mold in the walls and floors. They can also create a breeding area for mosquitos and bacteria. As such, it is important to fix leaks in their early stages before they create health issues for you and your family. When you have a leak, the first thing you need to do immediately is to get in touch with Langley Plumbing Company. We know leaks can happen at any time or day which is why we have a 24-hour emergency response team always available to come to the rescue. Depending on the type of leak and work that needs to be done to fix it, we will give you a quote as soon as possible. There are other things that affect our pricing like the type of equipment needed, whether we need to work at high heights, among others. We always try to provide a quote immediately after you describe your problem. When all is agreed, our team will be at your doorstep ready to find and fix your leak. Why hire Langley Plumbing Company? 1. 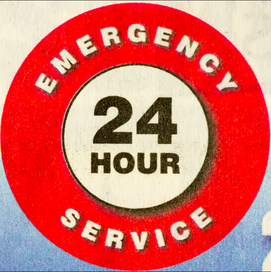 We are Available 24/7! There are few things that can terrify a homeowner more than having a leak and not knowing where it’s coming from. It gets even worse if it is happening at 3 a.m. and you have no idea what to do about it. Luckily, you can be sure that if you call Langley Plumbing Company, somebody will pick up regardless of the time. To us, customer service is the most important part of any business. We want all our clients to have a great experience from the moment they callus for the first time to the moment we leave your home after successfully repairing your leak. This is why all our workers are trained to put the needs of the clients first. We involve you in all decisions and keep you in the loop of everything that is going on. We have a great team of highly skilled, fully-licensed workers with all the experience they need to get the job done without breaking a sweat. Every job is handled with care and done to perfection. Above all, our technicians are friendly, accommodating, and treat your home with the respect it deserves. Our aim is to provide our clients with the maximum value for their money. We provide unmatched quality for extremely low prices. We know our job is to fix your leak, but we are always willing to go the extra mile to leave the work area spotless clean. If you need fast, highly accurate, and efficient leak location services in Langley, contact Langley Plumbing Company any time on 778-800-2732.